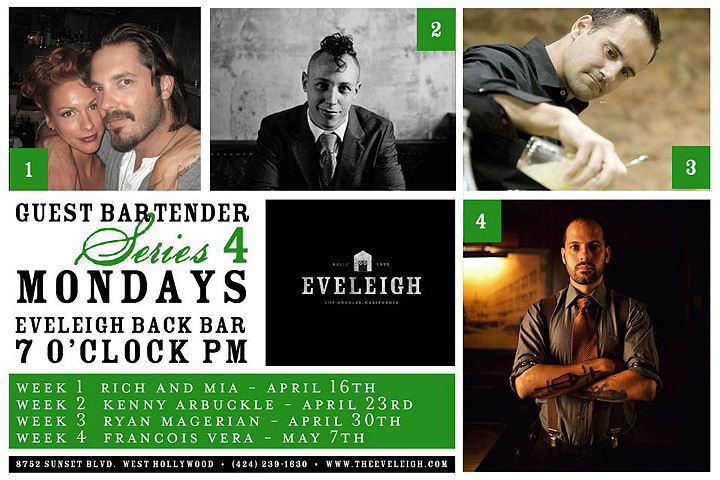 On Monday, May 28th, Eveleigh returns with Round 5 of its superb Guest Bartender Series. 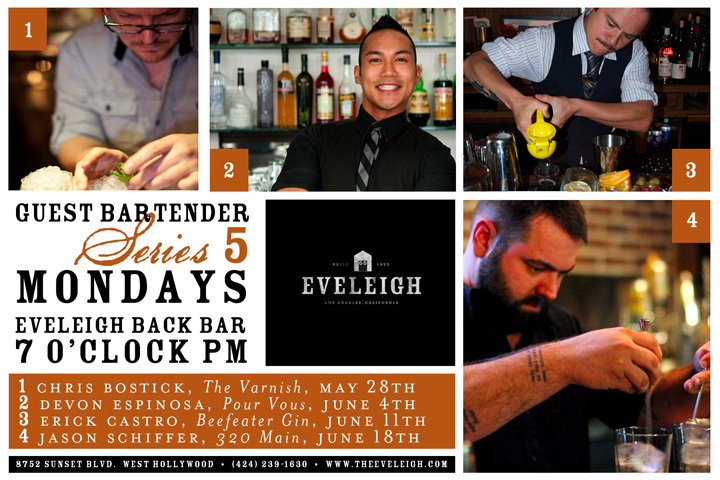 Round 5 kicks off with former Varnish GM Chris Bostick in his final LA appearance before he heads to Austin to open his own bar. Eveleigh’s Guest Bartender Series Round 4 launches on Monday, April 16th, featuring the dynamic duo of Rich Andreoli and Mia Sarazen, sponsored by Tequila Ocho. 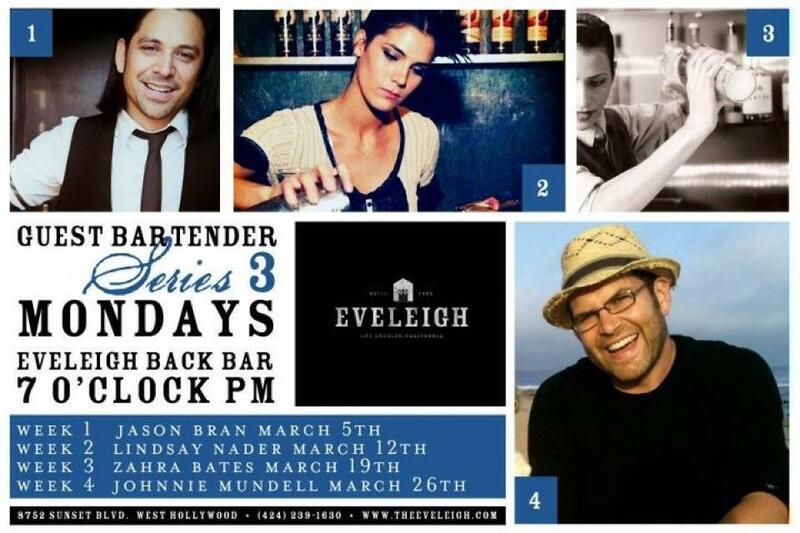 Round 3 of Eveleigh’s Guest Bartender Series begins on Monday, March 5th and features another stellar lineup in the upcoming weeks.